DC Water | Park View, D.C. 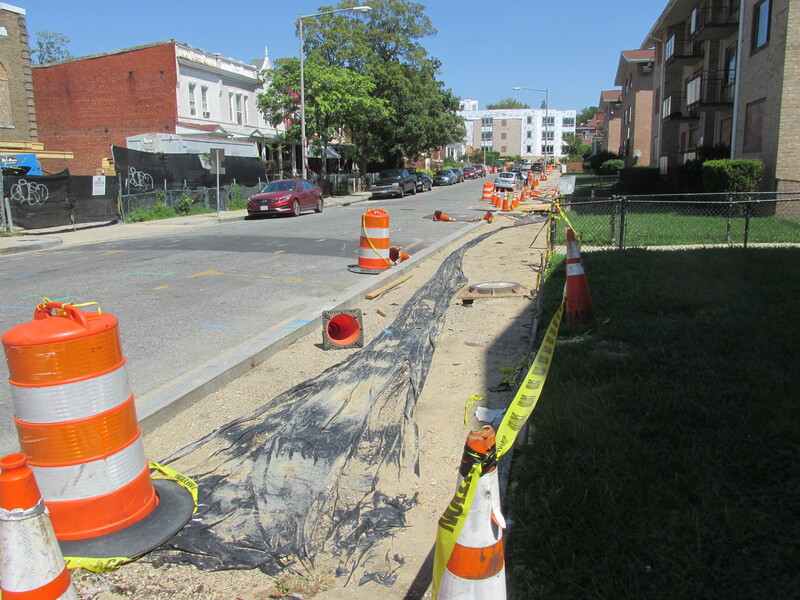 I checked in with DC Water to see how the water main replacement on Park Road and Morton Street was coming along. 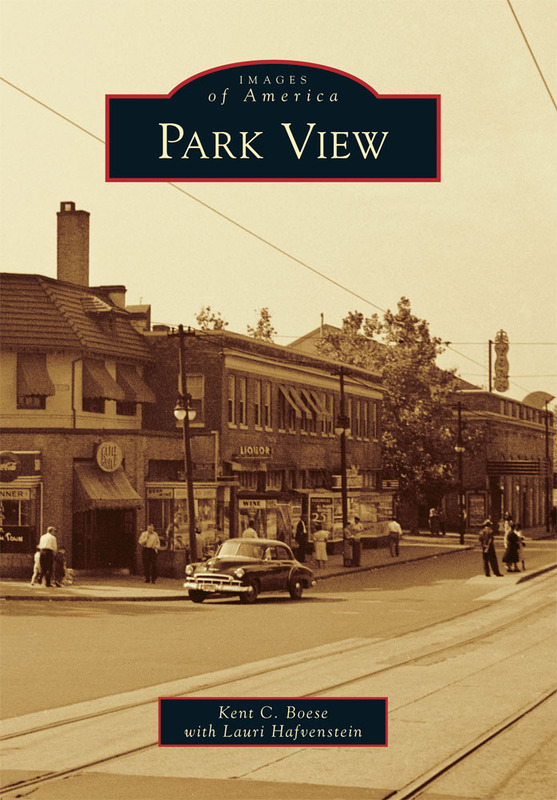 Per the project manager, the Park Rd section should be completed & fully restored by next week. The Morton Street section should be completely done by the end of December, weather permitting. Here’s DC Water’s video sequel to “A Drop’s Life”. The original animated video focused on the fate of a raindrop that found itself in the District’s combined sewer system. The sequel picks up the story with new raindrop characters and a new twist—it describes green methods to keep that raindrop and its buddies out of the sewers altogether by using green infrastructure to absorb the rain before it ever makes its way to the sewer system. Green infrastructure includes curb bump-outs, rain gardens (also called bioretention) and rain barrels that capture rain water and store it for outdoor uses like gardening and car washing. I like these videos from DC Water and hope you enjoy them too. Map showing streets impacted by water main replacement project. 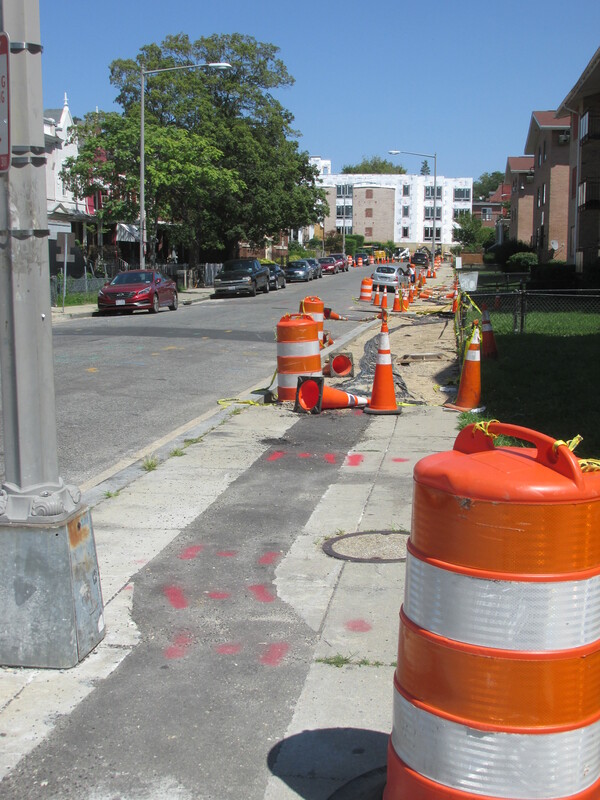 DC Water is currently working to schedule a water main replacement project in the Columbia Heights area. The impacted streets will be Irving, Columbia, Harvard, Girard, Fairmont, and Clifton between 13th and 14th Streets. DC Water is in the process of coordinating with DDOT and WMATA and working through the permitting process. The project could begin in April or May. 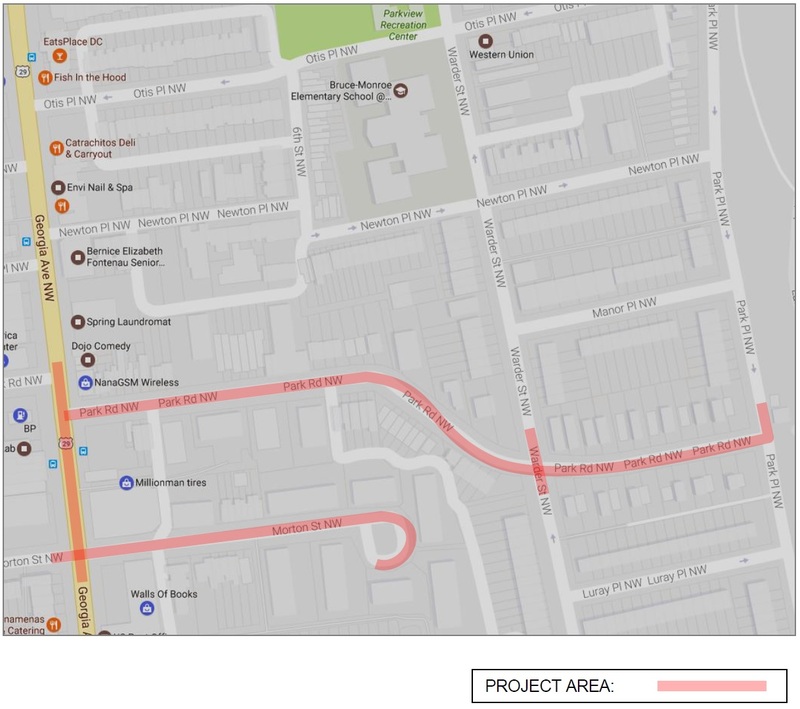 The mains to be replaced in Columbia Heights are approximately 100 years old, and one of several locations that are part of a much larger project. When work commences, it will impact two streets at a time. 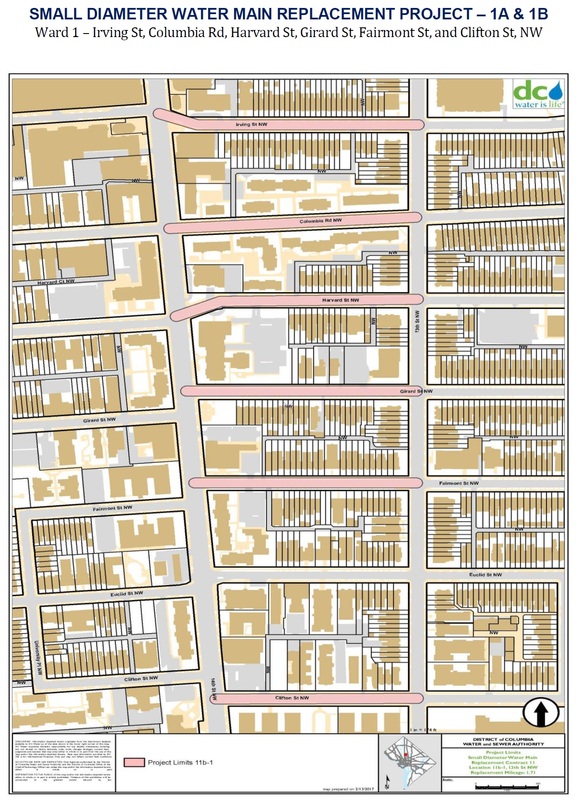 The first sweep will focus on replacing the water mains on each street, which will be followed by all the lead connector service lines from the mains to the edge of the public space being replaced with copper lines if they are lead. DC Water estimates it will take about two to three weeks to work on each block. While the work is necessary, it will be disruptive to both the immediate community and those who travel through the neighborhood. During construction, parking will not be permitted on affected blocks. Every attempt will be made to keep the streets open to traffic, though there could be occasional times when a street closure is necessary. It is also worth noting that both Irving Street and Columbia Road currently support Metro Bus and shuttles between the Columbia Heights Metro Station and the Washington Hospital Center. Representatives from DC Water will be attending the ANC1A meeting on April 12th where they will share additional details. On June 6th, DC Water launched their new interactive map and other online content designed to help property owners identify the material that makes up their water service lines, where that information is available. The map allows customers to enter an address to see the information that DC Water has in its records pertaining to service pipe material, in public space and on private property. Its a pretty cool tool that is worth checking out. 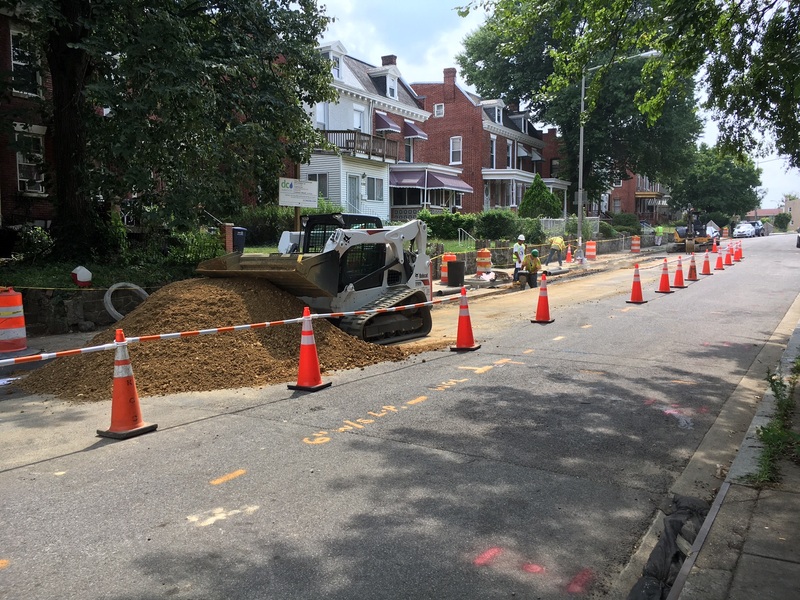 You can read more about DC Water’s efforts related to lead service lines here. 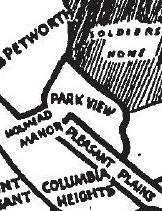 It is important to note that the maps provided by D.C. Water are based on historical data, information directly provided by customers, and in some cases, information acquired during physical inspections.